Hard to believe another month has gone by! It's Digit-al Dozen week again and this time we are taking on Geek/Nerd topics. I wanted to start with something that has fascinated me since the moment I learned about it. The Golden Ratio. "The golden ratio (symbol is the Greek letter "phi" shown at left) is a special number approximately equal to 1.618. It appears many times in geometry, art, architecture and other areas." Cited from mathisfun.com where if you are curious, you can read a great (and relatively simple explanation of this amazing numerical relationship. What I find most compelling about it, is how you can find this ratio throughout art and nature. It was widely believed that the nautilus shell chambers grew in a golden spiral ratio. So I decided to attempt a nautilus shell. I should have given myself more time to practice because it didn't turn out as nicely as I would have hoped. But hopefully you get the idea. Plus, I'm excited to show to you a few of my freshly arrived China Glaze Hologram 2013 Collection. I used quite a bunch for this mani, and will create another post to show you the rest! The China Glaze® Hologlam collection will be available in April 2013 at fine salons and beautysupply stores nationwide with an SRP of $14. China Glaze is free of DBP, toluene, and added formaldehyde. For the solid nails I used 2 coats of each: Pinky - Take a Trek, Middle - Sci-Fly By, Index - Don't Be a Luna-tic. 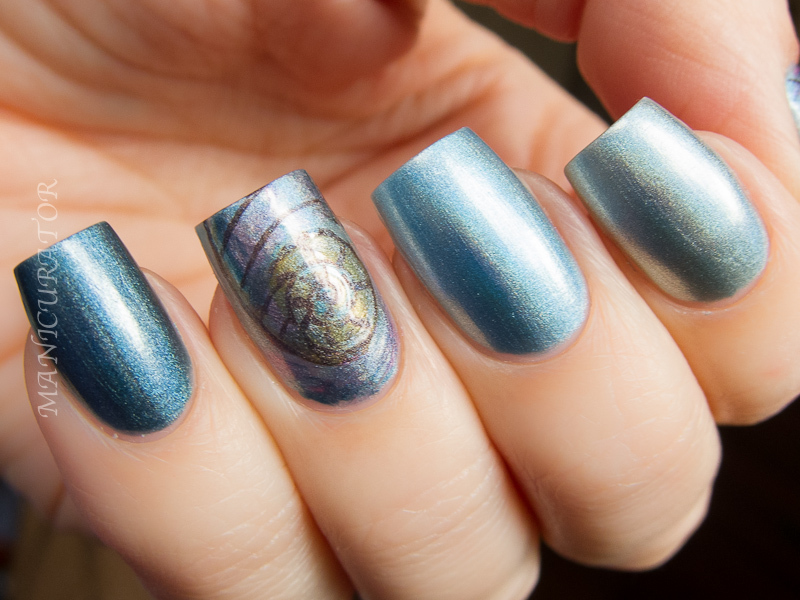 I used all the colors you see in the first shot for my nautilus shell, which took me a long time and I'm afraid I didn't quite get it right, nor do the colors pop for this type of nail art. These were very easy to work with, 2 coats gave full coverage and the only nail that is top coated is the ring finger. The last photo, I went to my window and took the pic in direct (cloudy day though) light to see if that captured a different look. 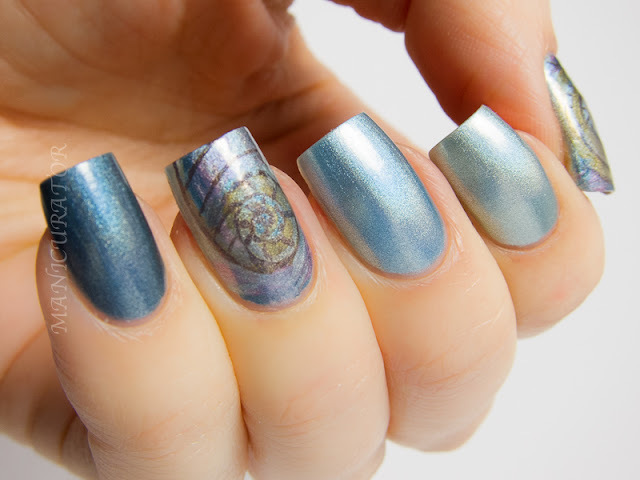 I think these are super pretty shades...but I'm not blown away by the holo effect. What do you think? Also, I did make sure to shake each bottle before application. I'm looking forward to seeing everyone else's photos of this collection. The other gorgeous manis for today! Pretty but I think I'll stick with my Color Club. Much better holo effect and cheaper. Nothing special for me, but the colors are pretty and I love what you did with them. So pretty! The nautilus is awesome, I can't imagine how long that took! But the holos...really don't have a holo flair at all. Still excited for this collection though! This looks beautiful and gorgeous..Really loved the color shades.. This is beautiful and geeky! Love it! These are pretty colors, but I'm thinking I'll pick up some Color Clubs and Glitter Gals. Very cool idea! I agree that maybe it would have had more impact with different colors, but it still looks great! The colours may not pop as much as you'd have liked but it's still an absolutely gorgeous mani! Wow, where did the holo go :/.. but, pretty manicure anyway! 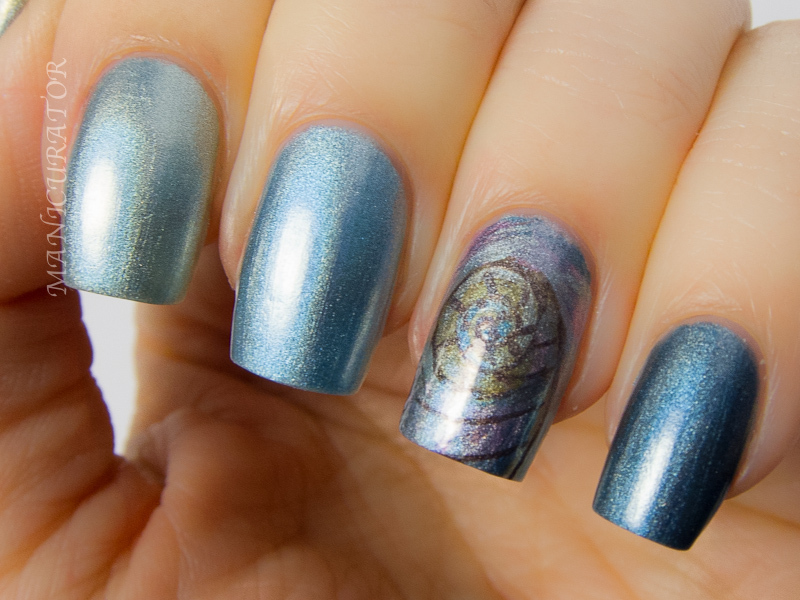 The holo in these isn't that great - but I love how the shell sort of looks hidden! Very pretty, but they don't scream vibrant holo to me like swatches I've seen of their previous OMG Holo collection. I debated back and forth over this collection and the Colour Club holos and decided on the Color Club holos instead. 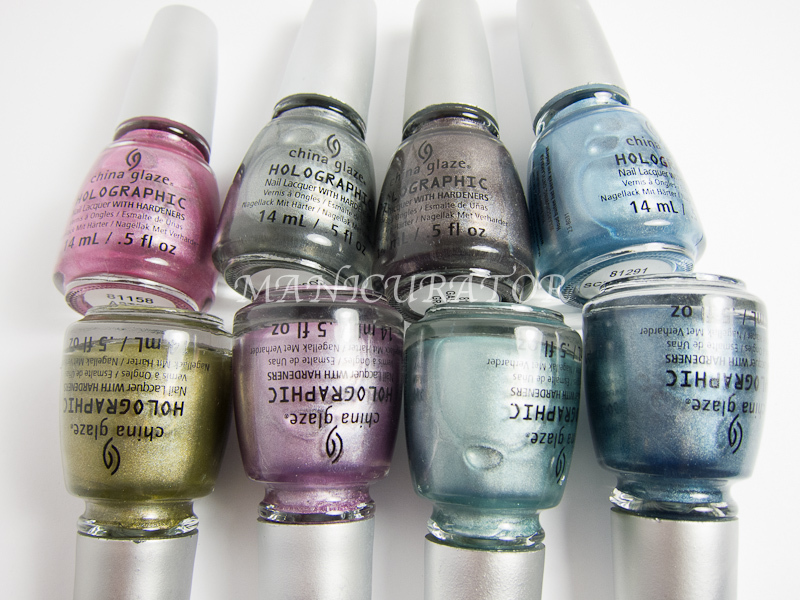 All the swatches I've seen suggest that the Color Club holos definitely pop more. Beautiful job though as always, your nails make me jealous, they're so beautiful. not enough holo, but still a pretty mani. Maybe I'll be able to talk myself out of running home with ALL of these... maybe. 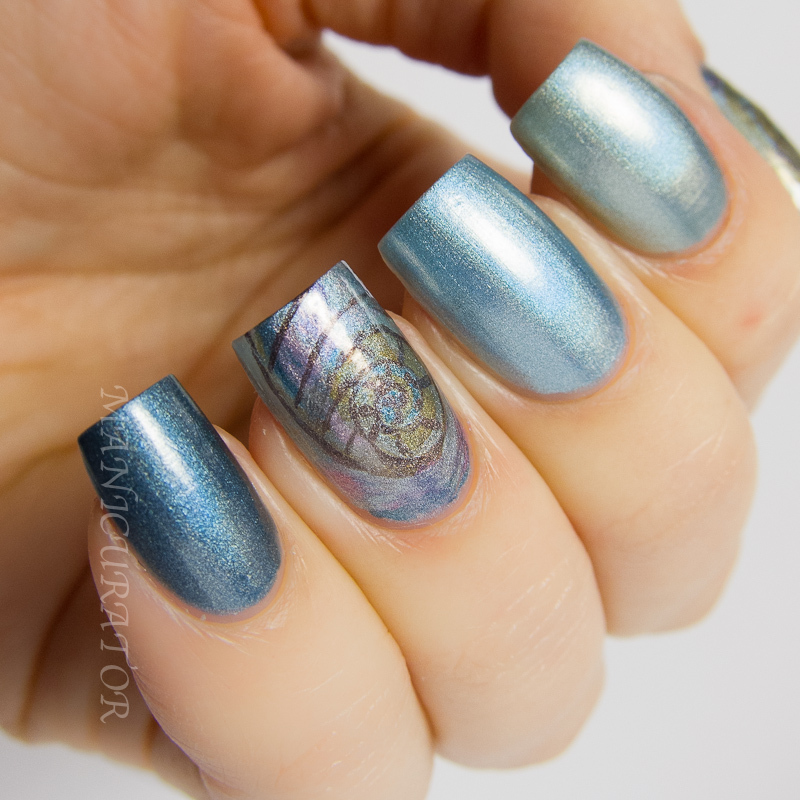 I'm such a sucker for holo though! I have most of the Hologlam collection. Some have stronger holo than others. 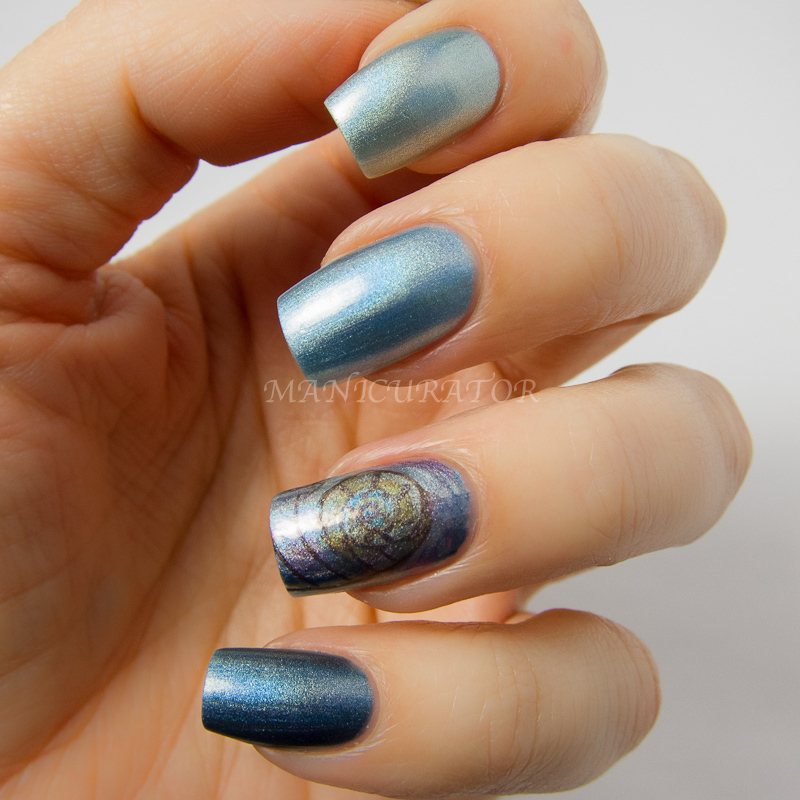 But...I found that if you put Nfu Oh Aquabase on first it really brings out the yummy holo-ness of them.